Ai Weiwei is one of the most important artists working at this time. His most well-known works include “Dropping a Han Dynasty Urn” video from 1995, his work around the Sichuan earthquake disaster in 2008, his Sunflower Seeds exhibition in the turbine hall of the Tate Modern in 2010/2011, as well as his work in 2106 surrounding the refugee crisis using discarded life jackets. Major themes of his work are criticism of the lack of transparency and the human rights records of political regimes. His work brings to attention some of the major political and social issues of our time. The exhibition is at the Musee des Beaux Arts in Lausanne until 28 January 2018. Clothilde Gosset is a young French artist working with wood, taking over the tradition from her father. Her interpretation of woodland scenes into magical hand-carved screens are sublime. She will have her third solo show in her career, this time in Brussels starting on November 16, 2017. 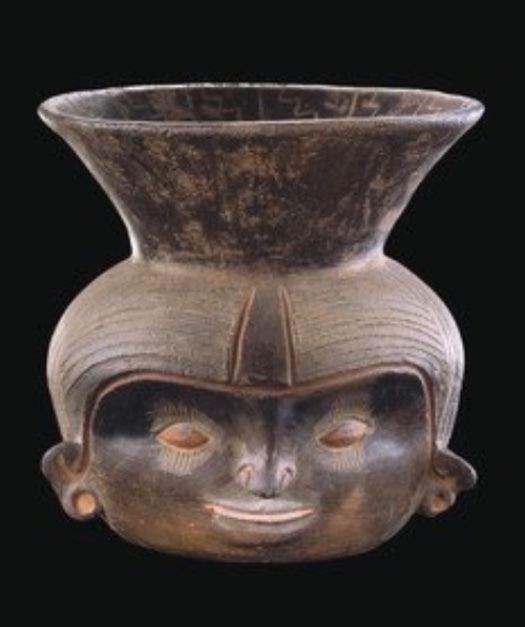 To celebrate the 40th anniversary of the museum, the late French author Michel Butor selected 100 items from the museum’s collections for this exhibit. Butor was a well-known novelist who won many literary prizes including the Prix Apollo, Prix Feneon, and the Prix Renault. He wrote a poem for each item selected, and put them into categories such as: Drinkers, Carriers, Decorators, etc. Musee Barbier-Mueller was founded in 1977 and has over 7,000 articles in its collection from Tribal and Classical Antiquity. 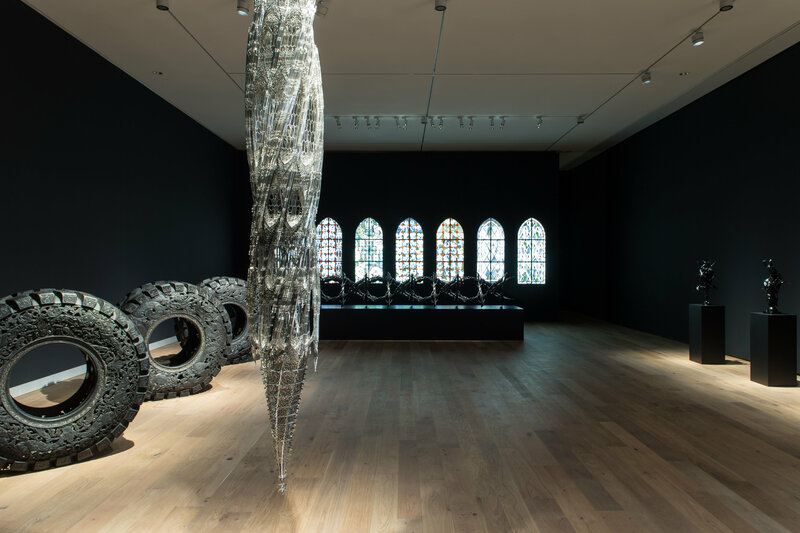 This is the first major retrospective of the Belgian artist Wim Delvoye. Born in Wervik, Belgium in 1965, he is known for work that contains witty mixtures of the high and low in sculptures and installations. Best known for his Cloacas, laboratory replications of the human digestive process from start to finish, made visible. His more recent work are replicas of construction vehicles using Gothic-style ornaments made from laser cut steel such as the piece “Cement Truck”.